Do you love a simple solution for fitting creativity into your busy live? 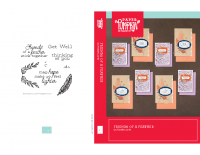 Or maybe you’re new to paper crafting and looking for a place to start? Either way Paper Pumpkin is here to help! 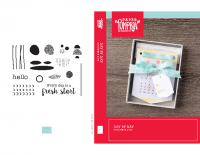 We designed our awesome subscription service to put you on a fast track to creativity with our easy-to-make kits. 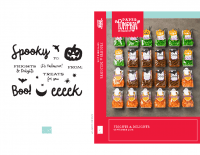 January’s month’s Be Mine, Valentine kit combines everything you love about Paper Pumpkin-style treat packaging with adorable critter coordination in the popular Animal Expedition Suite! You don’t need anything in the suite to make this kit, however the fact that it coordinates means we get more mileage out of the kit. We love options! 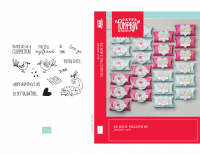 Out of the box this kit will make 24 adorable Valentine’s treat packages. Video: I’ll be putting the kit together on this video live at noon today EST on Youtube and Facebook. You can catch it live, or watch the replay below. 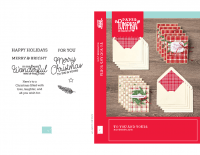 Stamp Case Inserts – I now have downloadable stamp case inserts for September – December posted below. I will post these inserts each month with my videos. We’ve rounded up a selection of coordinating products especially for this month’s kit. They’re perfect for making coordinating with the kit to make alternate products and can be found in one easy place on the online store. Drawn on the live taping of the video. Watching your Paper Pumpkin video but there is NO comment area. Just watched your Paper Pumpkin video. Sorry you were having difficulties.